Bemis Company, Inc. (BMS) manufactures and sells flexible packaging products and pressure sensitive materials in the United States, Canada, Mexico, South America, Europe, and Asia. The company operates in two segments, Flexible Packaging and Pressure Sensitive Materials. The company is member of the S&P 500 and the S&P Dividend Aristocrats indexes. Bemis has paid uninterrupted dividends on its common stock since 1922 and increased payments to common shareholders every year for 28 years. The most recent dividend increase was in February, when the Board of Directors approved a 4.40% increase to 24 cents/share. The major competitors of Bemis Company include Sonoco Company (SON), Sealed Air (SEE) and Temple-Inland (TIN). 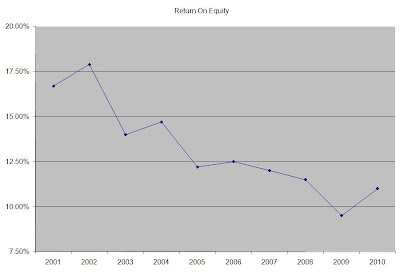 Over the past decade this dividend growth stock has delivered an annualized total return of 10.10% to its loyal shareholders. The company has managed to deliver an increase in EPS of 3.70% per year since 2001. 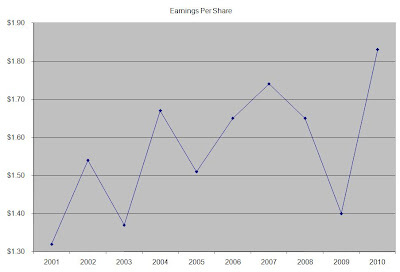 Analysts expect Bemis to earn $2.40 per share in 2011 and $2.68 per share in 2012. 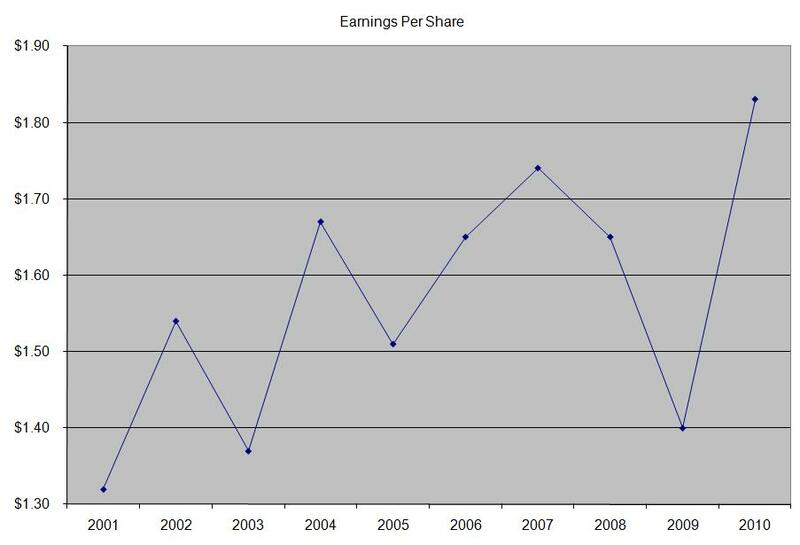 This would be a nice increase from the $1.83/share the company earned in 2010. 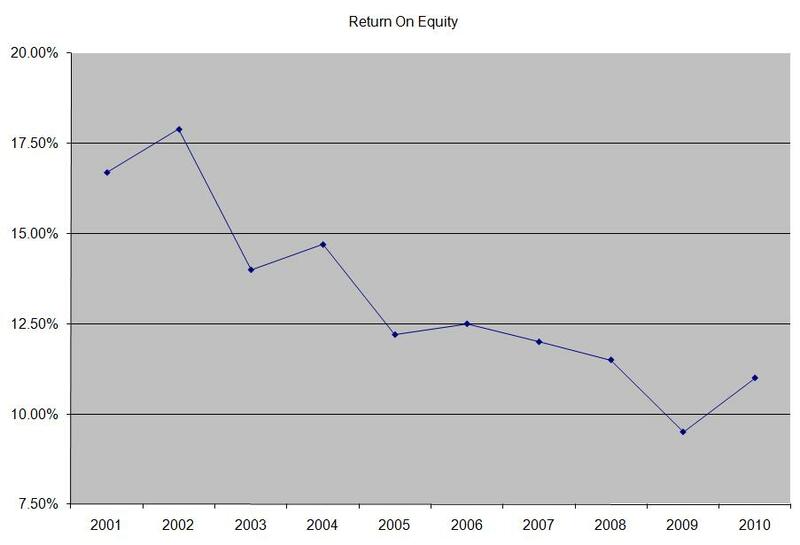 Over the past decade, the return on equity has been in a steady decline. Rather than focus on absolute values for this indicator, I generally want to see at least a stable return on equity over time. 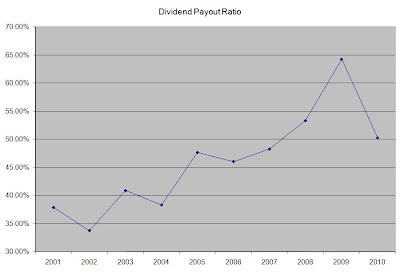 The annual dividend payment has increased by 7% per year since 2001, which is higher than the growth in EPS. 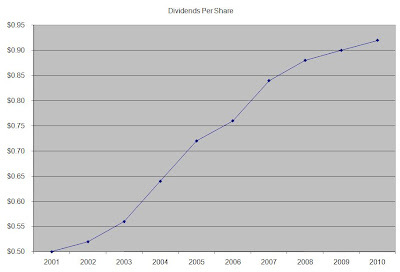 A 7% growth in distributions translates into the dividend payment doubling every 10 years. 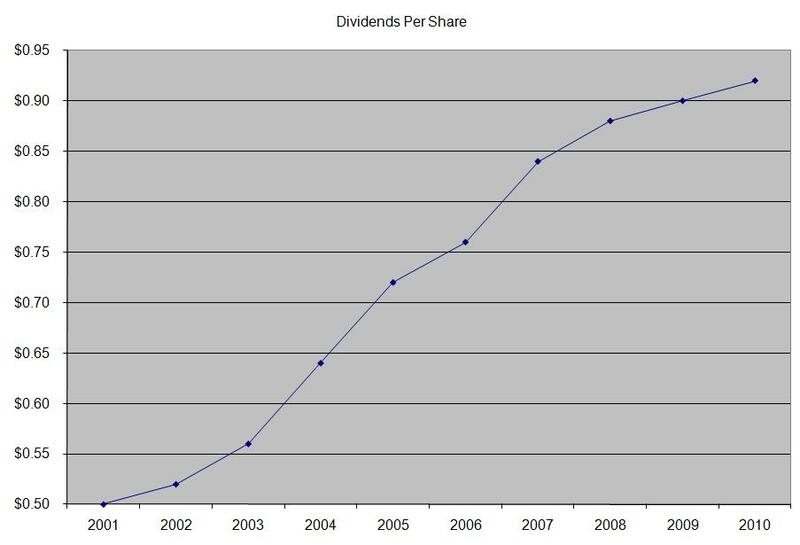 If we look at historical data, going as far back as 1984, we see that Bemis has actually managed to double its dividend every seven years on average. 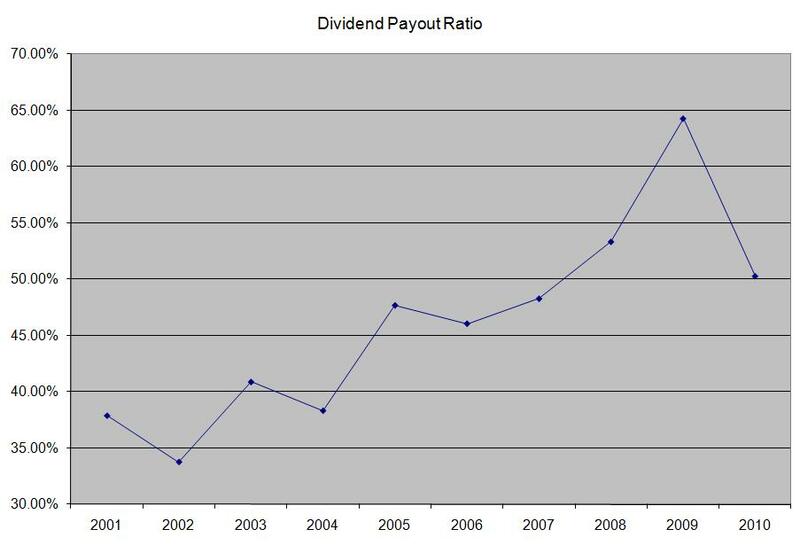 Over the past decade the dividend payout ratio has steadily increased. A lower payout is always a plus, since it leaves room for consistent dividend growth minimizing the impact of short-term fluctuations in earnings. Currently Bemis is trading at 17.60 times earnings, yields 2.90% and has a sustainable dividend payout. Despite the fact that the stock meets my entry criteria, the sluggish earnings growth coupled with high payout ratio make this otherwise fine dividend stock a hold.